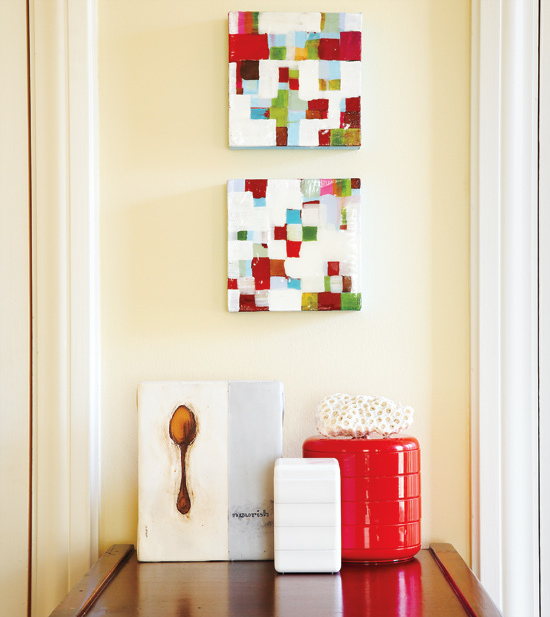 Mix and Chic: Decorating with artwork to create an impact and to evoke emotions. Decorating with artwork to create an impact and to evoke emotions. Using artwork as decorating is nothing new yet it is one of the many things that creates major impact on our walls and spaces. The kind of artwork we chose to display in our houses is probably the one single thing that represents our taste, style and personality the most. Most of us choose artwork that are visually appealing and those that evokes emotion. We all perceive art differently so when we pick artwork, choose one that speaks to you and not the one that speaks to your friend. Pick one that brings a smile to your face every time you look at it and you will be so much happier at home. Here are some artwork with different styles and placements serving as an inspiration for your own home. Colorful abstract artworks at the end of a hallway bring so much life and beauty in an otherwise lonely space. Casually grouping of several small artworks conjures a cozy and relaxed atmosphere in a charming bedroom. 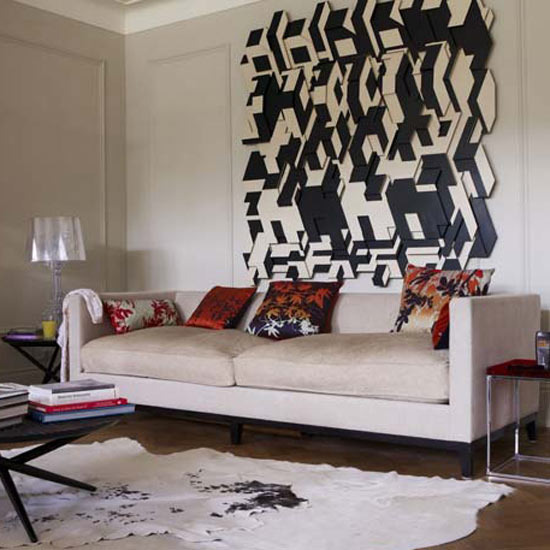 A bold, layered and textured geometric black and white artwork commands attention and creates a dramatic backdrop in a neutral living space. 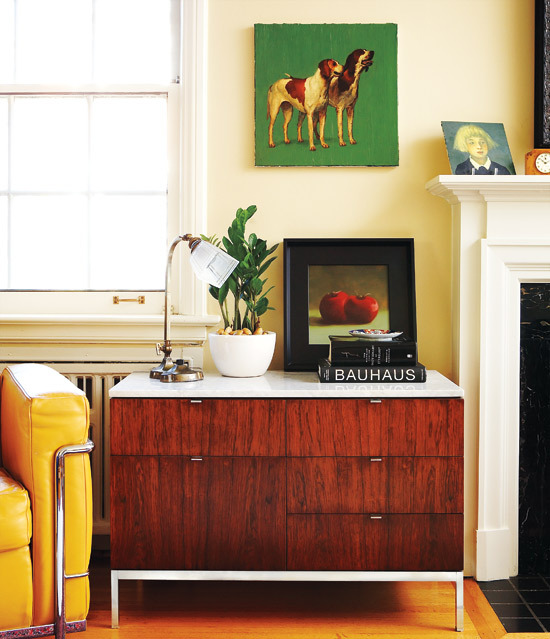 A vintage-like artwork hung on the wall and modern still life art leaned casually against the wall atop a chest of drawers bring charm and beauty in a modern vintage space. A huge human portrait artwork evokes a sense of intrigue and emotion while creating a dramatic focal point for the vignette. 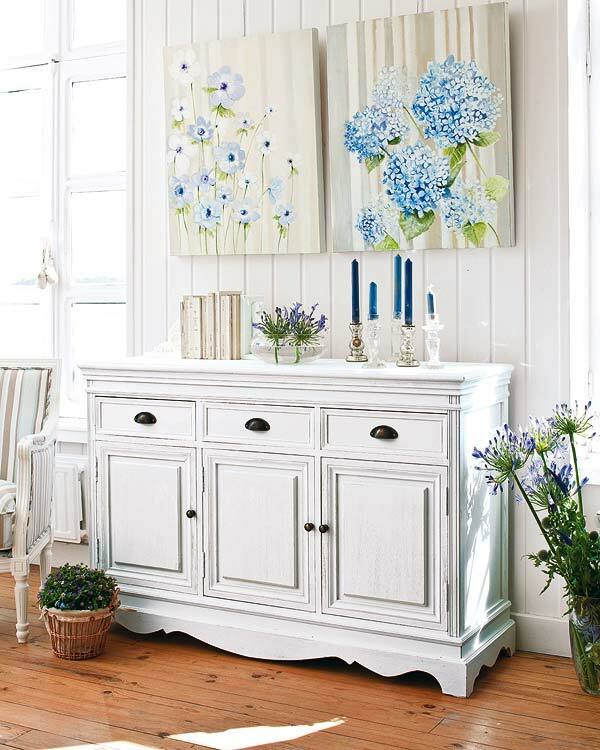 A pair of pretty floral arts hung on the wall adds so much beauty and visual interest in a charming traditional space. We have so much artwork up on our walls, (mostly Mr.MBL's) and I have run into a quandary sometimes because I like things to be very symmetrical, and He prefers more asymmetrical groupings. We worked it out.